Fuvestrol Injection is used in the treatment of breast cancer. 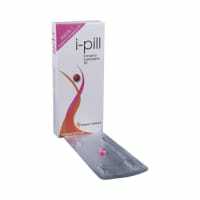 It is used only in women who have gone through menopause. Fuvestrol Injection blocks the action of estrogen on breast cancer cells. This can lower or stop the growth of some breast cancer cells that need estrogen to grow. It is unsafe to consume alcohol with Fuvestrol Injection. Fuvestrol Injection is unsafe to use during pregnancy. Fuvestrol Injection is unsafe to use during lactation. Data suggests that the drug may cause toxicity to the baby, or the mother is suffering from a condition in which breastfeeding is not advisable. Fuvestrol Injection does not usually affect your ability to drive. Fuvestrol Injection should be used with caution in patients with severe kidney disease. Dose adjustment of Fuvestrol Injection may be needed. Please consult your doctor. Limited information is available on the use of Fuvestrol Injection in these patients. No dose adjustment is recommended in patients with mild to moderate kidney disease. Fuvestrol Injection should be used with caution in patients with liver disease. Dose adjustment of Fuvestrol Injection may be needed. Please consult your doctor. What if you miss a dose of Fuvestrol Injection? If you miss a dose of Fuvestrol Injection, please consult your doctor. Fuvestrol Injection is used for the treatment of hormone dependent breast cancer. It should only be taken by women who have undergone menopause and cannot become pregnant. 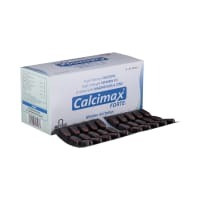 It is given as a slow injection into the muscles (intramuscular) of your buttock. Inform your doctor if you have any bleeding disorder, kidney or liver disease or if you are receiving any medicines to prevent blood clots. Do not take Fuvestrol Injection if you are pregnant or breastfeeding. No, if you don't have any lump or anything abnormal no need to consult, it's known fact that breast consistency's may very from person to person and even in same person can have little variations. Do you have any questions related to Fuvestrol Injection? Q. What is Fuvestrol and what is it used for? Fuvestrol contains a medicine, Fulvestrant which is used to treat breast cancer in women who have gone through menopause. Q. How and in what dose should I use Fuvestrol? Your doctor would advise you the exact dose of this medicine. It is given as a slow (1 to 2 minutes) intramuscular (deep into the muscle) injection in your buttocks. 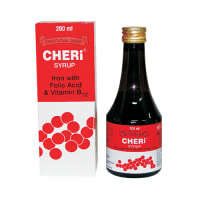 It is administered by a medical healthcare professional only. Q. What are the common side effects of using Fuvestrol? 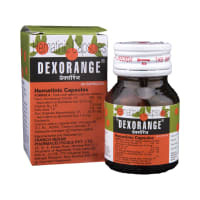 The common side effects associated with this medicine are headache, vomiting, urinary tract infection, diarrhea, vaginal bleeding, low platelets count and back pain. If any of these side effects bother you, consult with your doctor. Moy B, Lee RJ, Smith M. Natural Products in Cancer Chemotherapy: Hormones and Related Agents. In: Brunton LL, Chabner BA, Knollmann BC, editors. Goodman & Gilman’s: The Pharmacological Basis of Therapeutics. New York, New York: McGraw-Hill Medical; 2011. pp. 1759-60.